It's starting to look more and more like Zynga, the company that gave us games like Farmville and Mafia Wars, could be getting ready to turn its back on Facebook once and for all. By rights, Zynga and Facebook should be a match made in heaven. Zynga, like a crazed Nazi mad scientist conducting unspeakably horrific experiments, needs bodies; Facebook, the hunchbacked, bug-eyed Igor of the relationship, has been all too happy to provide them. But as sometimes happens in these deals, Igor got tired of hustling around body parts for peanuts, so in March, he - that is, Facebook - made a few changes to the formula. The decision to eliminate the spammy notifications automatically generated by games and the move toward a unified virtual currency called "Facebook Credits," which would replace Zynga-specific currency like Farm Coins and generate a 30 percent cut for Facebook, has some observers wondering if Zynga might be thinking about, or even planning for, going it alone at some point in the future. 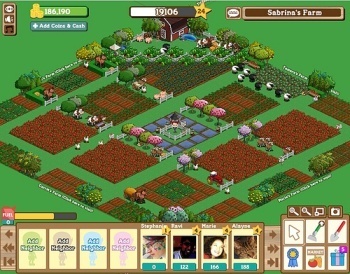 FarmVille is already directly accessible via FarmVille.com and a deal has been made to allow MSN users to log into it from the Microsoft portal. Even more telling, as Gamezebo notes, is the fact that changes are continuing to come at an ever-quicker pace. Zynga has begun requiring email addresses from its players, presumably to facilitate communications without the need for Facebook, and in late April added, and then upgraded, in-game gifting to FarmVille. The changes will no doubt improve the gameplay experience for Zynga fans, but if and when the time comes, they'll also be of great use in helping Zynga stand alone and separate from Facebook. Could Zynga pull it off? "Most social game companies plan to stick with Facebook and are embracing the changes, in part because they are dependent on Facebook and have no choice," Gamezebo wrote. "But, with 120 million players a year, a huge amount of investment, and 775 employees, Zynga may be big enough to be different and gamble to leave Facebook."